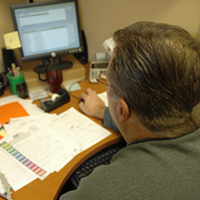 Billing and Customer Service Our customer service staff is there to make you feel a part of the process. They work with the sales staff to help keep the customer as our first priority. Graphics and Prepress Our graphics and prepress staff are the best around. They preflight files and have the most up-to-date software so changes can be made on the fly without slowing your project completion time. 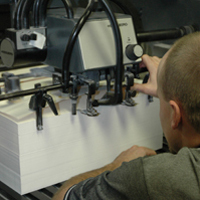 Our graphics staff also handles all digital and large format printing. Whatever you need, they can make happen. Our press operators are the finest around. They are highly trained on the most current equipment and techniques. Our highly talented post-press team makes everything come together. They know how to finish your project and make everything look "just right". 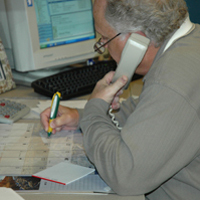 Our sales staff is always ready to help answer any questions and assist throughout the design and printing process. They work together and they have a great attitude. It makes the work environment fun and upbeat!